Three molecular beam epitaxy (MBE) chambers are running at IEMN. One is dedicated to III-V material growth, one to transition metal dichalcogenide studies. Both are coupled together with the ESCA analysis chamber under ultra-high-vacuum. The third one is concerned with graphene/hBN growth experiments. 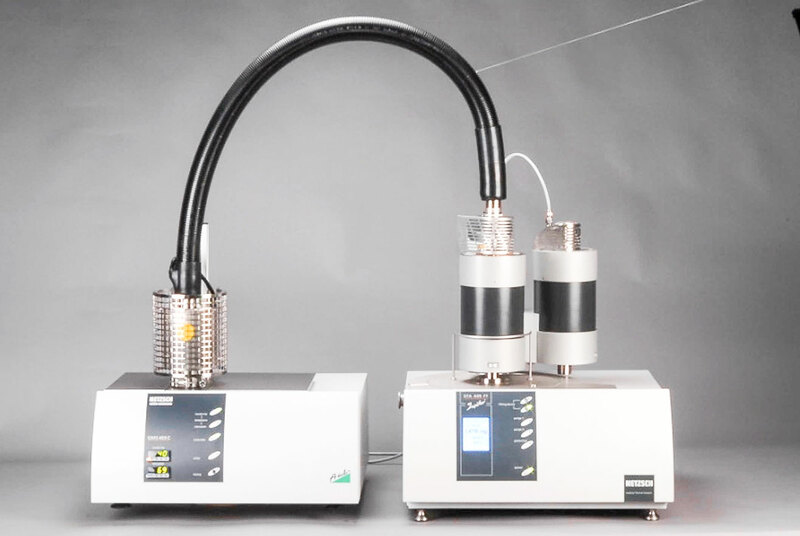 Two chemical vapor deposition systems are also available, dedicated either to the growth of Si and Ge nanowires or to graphene on metals. 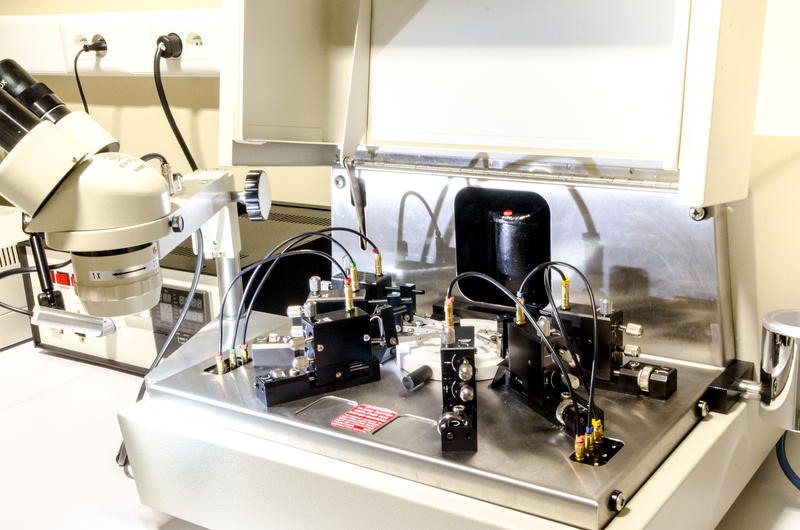 Numerous characterization tools are also available, to give information about structural (X-ray diffractometer, atomic force microscope and scanning electron microscope), surface (ESCA), electrical (Hall effect) and optical properties (micro-photoluminescence and Raman), as well as two coupled thermogravimetry and mass spectroscopy analysis tools. All these equipments are part of Renatech, the french network of high-end facilities in the field of micro & nanotechnologies. They might be used to carry out research, by academia or industrial partners, national r international. The system is cooled down with liquid nitrogen using a Vacuum Barrier set-up. Pumping is carried out thanks to a CTI OB250F cryo-pump and a 400l/s ion-pump. RHEED Staib 35kV (EK2035 type). a KSA system for RHEED image acquisition and treatment. an optical pyrometer together with a KSA BandiT optical absorption spectrum analysis for wafer temperature measurement. This MBE system allows the growth of high quality III-V semiconductor thin films, 2D heterostructures for electronic and optoelectronic device fabrication and also of self-organised quantum nanostructures (quantum dots) or selectively obtained with respect to a nanostructured dielectric mask. The ultra-high vacuum environment and the large variety of dopants ensure a very good control of the transport properties in the epitaxial layers. This system is coupled under ultra-high vacuum to an XPS analysis chamber. An UHV analysis chamber is connected to the growth chamber. It includes a Spectaleed LEED/Auger system from Omicron. 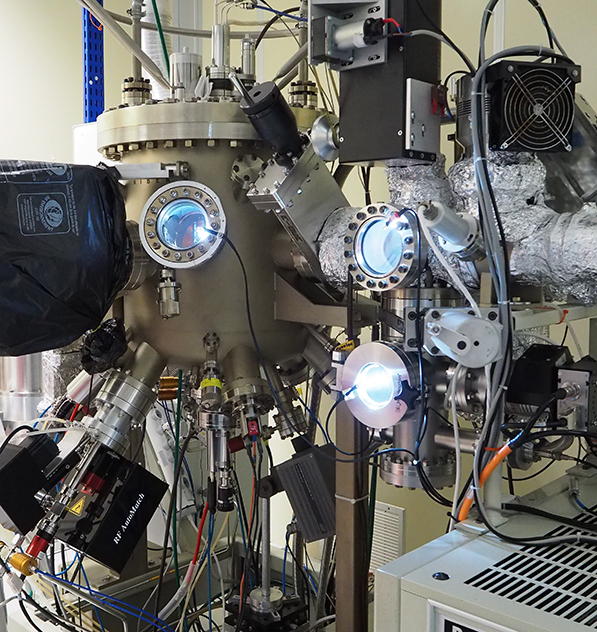 The Riber Compact 21 MBE chamber dedicated to graphene/hBN epitaxy, an overview. 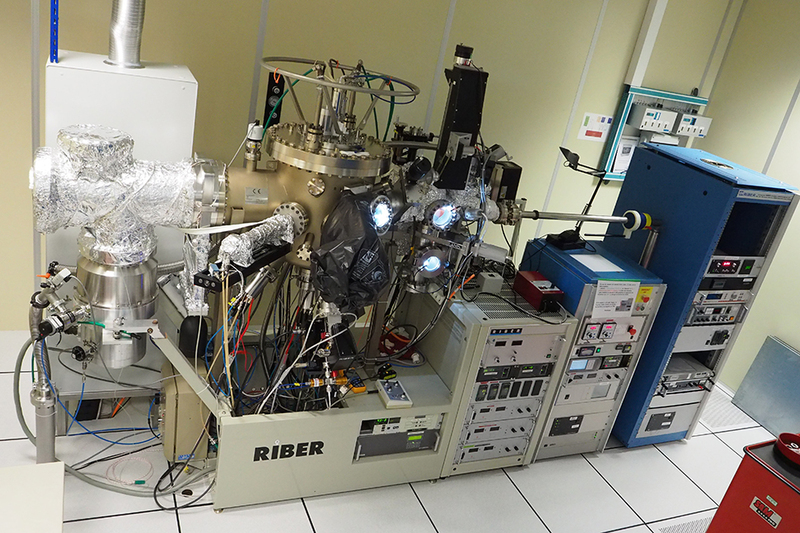 The Riber Compact 21 MBE chamber dedicated to graphene/hBN epitaxy, detailed view of the growth chamber. The following figure shows as example the optimisation of the growth parameters to reduce the coverage by graphene bi- or multi-layers on Cu foils. This study was carried out during the GRACY ANR project (« Graphene for circuits and systems », coordinated by H. Happy, IEMN). Optimisation of the graphene CVD process on Cu foils (inset scale bars are 2 µm). Monolayer (respectively bilayer) areas are shown by white (red) arrows, from Deokar et al. Carbon 89, 82 (2015). 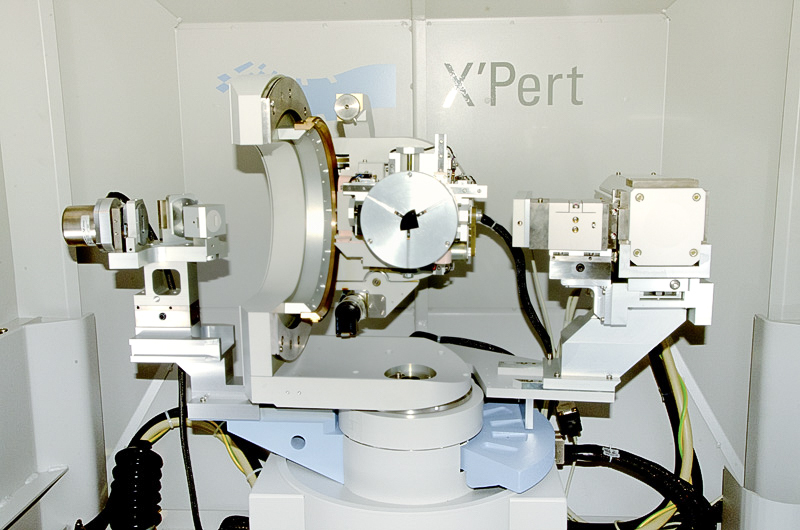 The X’Pert Pro diffractometer is a triple X-ray diffraction system. The X-ray beam produced by a Cu source is filtered by a hybrid 4-bounce monochromator working either in line or point focus, to filter the Kα1 (1.54 Å) line at low divergence (δθ=12″ with Ge 220 configuration). The diffracted beam can be recorded either in double-crystal configuration or using a three-bounce monochromator (3rd axis) before detection by a proportional detector. A dedicated sample holder allows grazing incidence diffraction experiments. 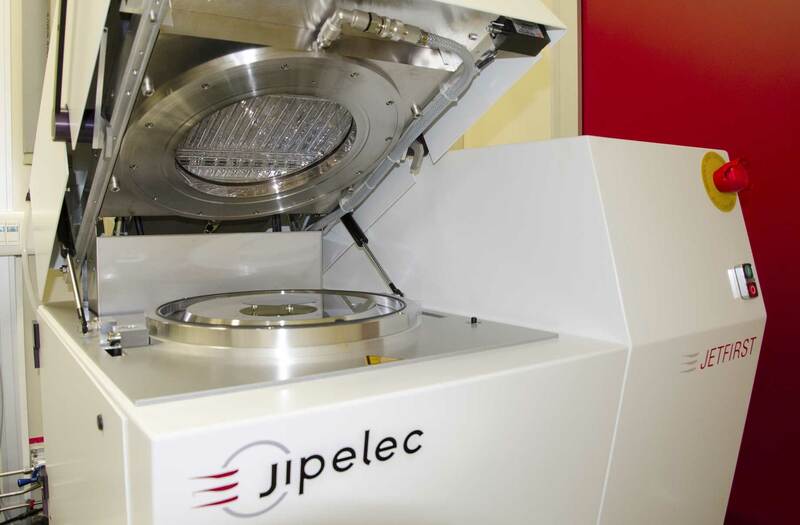 This system is PC controlled and experimental results can be compared with simulations using the EPITAXY™ software. It is used for non-destructive control of samples, with diameter up to 100 mm. Thanks to the high electron mobility of InAs and InSb, their small band gaps and their strong spin-orbit coupling, ‘6.1 Å’ materials are very appealing for a number of applications in high-frequency microelectronics, mid-infrared optoelectronics and quantum technology. However, these materials suffer from the lack of lattice-matched, semi-insulating substrate, and metamorphic growth on GaAs or InP is often used for practical applications. In this case, numerous studies show strain relaxation of Sb-based III-V semiconductors grown on GaAs occurs via the formation of a Lomer dislocation array at the substrate /epilayer interface leading to a nearly fully relaxed layer. Nevertheless the threading dislocation density in the top layers remains rather high, strongly depending on the initial stages of the relaxation process. 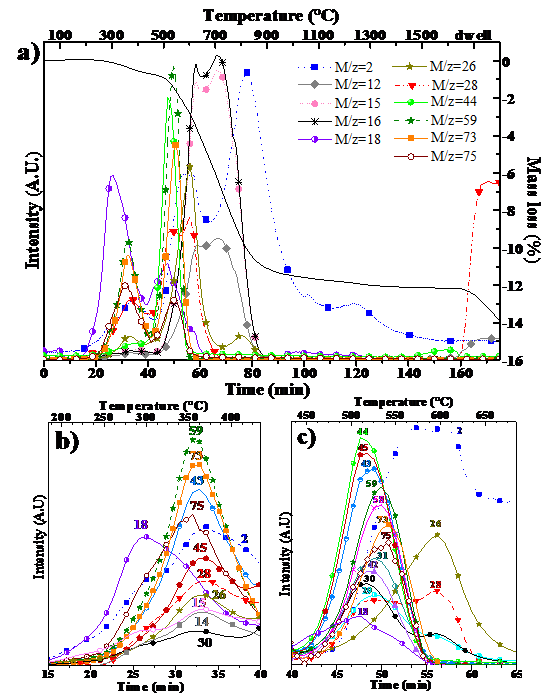 That is why we have investigated the relaxation of thin Sb-based layers and characterized their in-plane relaxation by grazing-incidence X-ray diffraction. On the spectra in figure 2, the angular spacing between the (220) reflexion of the GaAs substrate and that of the epilayer gives access to the in-plane lattice relaxation. Figure 2: Grazing incidence X-ray diffraction spectra recorded after the growth of 16 monolayers AlSb or AlInSb on GaAs. 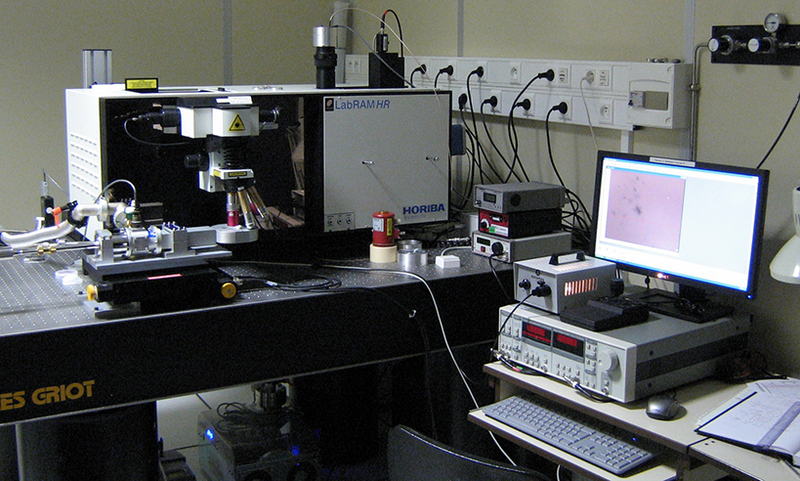 The micro-photoluminescence set-up (where the cryostat is seen front left, on its micro-positionning table). 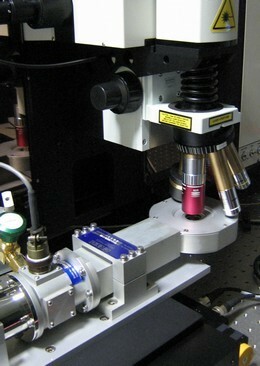 Close-view of the microscope cryostat and coupling with the LabRAM HR. 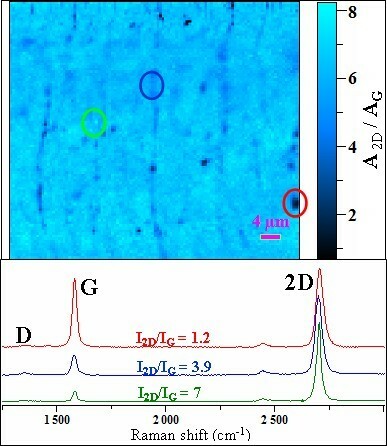 Example of Raman measurements: integrated intensity ratio map of CVD graphene after transfer on SiO2/Si (top), and Raman spectra of the circled area (bottom) (from Deokar et al., Carbon (2015) 89, 82). Detail of the six probe assembly. The HL 5500 PC system allows Hall effect measurements at room temperature, at liquid nitrogen temperature (77K) or by heating up to 600°C under controlled atmosphere. Six probes are used to contact the van der Pauw geometry or Hall bar samples so as to determine the sheet resistance of the layers. The sheet carrier density and their mobility are measured by Hall effect with a 0.32 Tesla permanent magnetic field. In XPS experiments, the ultimate resolution is 0.45 eV, measured as the FWHM of the Ag 3d5/2 core level line. Moreover, this system is available for any kind of analysis from outside the laboratory. IEMN has an important activity in the semiconductor processing for the fabrication of opto and micro-electronic devices. In this context, XPS is used to characterize various processing steps, such as etching, annealing…….For instance, one such study has concerned the characterization of the ALD oxide deposition on InGaAs for the fabrication of III-V MOS structures by the IEMN “Anode” group. Figure 2 shows the As3d and Ga3d/In4d XPS core level lines recorded in non-optimized conditions, showing important InGaAs oxidization. On the contrary, in optimized conditions (figure 3), the XPS spectra do not reveal any oxide components on the InGaAs surface. Figure 2: As3d (left) and Ga3d/In4d (right) XPS spectra recorded after ALD oxide deposition on InGaAs in non-optimized conditions. The InGaAs surface is heavily oxidized. 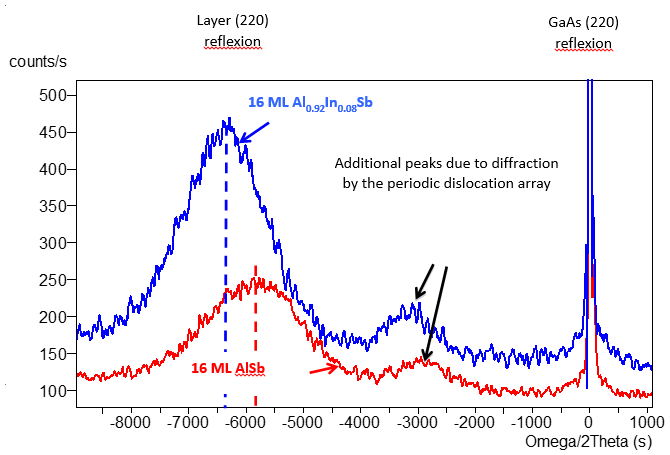 Figure 3: As3d (left) and Ga3d/In4d (right) XPS spectra recorded after ALD oxide deposition on InGaAs in optimized conditions. Oxide related XPS peaks have disappeared. TG/MS Analysis is used to study the thermal behavior of any material (polymers, organic or inorganic, liquid or solid, film, fibers, powder, monolith) while exposed to heating and gas environment. Samples can be treated under various atmospheres. NETZSCH STA 409- covers a temperature ranging up to 2000°C. The two TGA systems are coupled with Quadrupole mass spectrometry (QMS) analysis. Line (capillary-type interface) connecting the TGA to MS can be heated to 300°C. 5-30 mg is the minimum mass required for sample analysis. Samples should be non-explosive and non-corrosive. 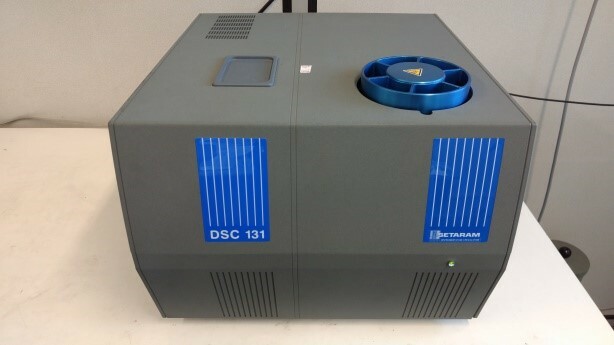 DSC provides a convenient method of measuring heat capacities and enthalpy changes. Commercial instruments provide a recorder output of the constant-pressure heat capacity,(Cp) as a function of temperature.